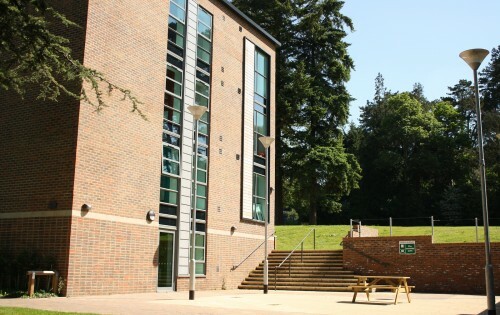 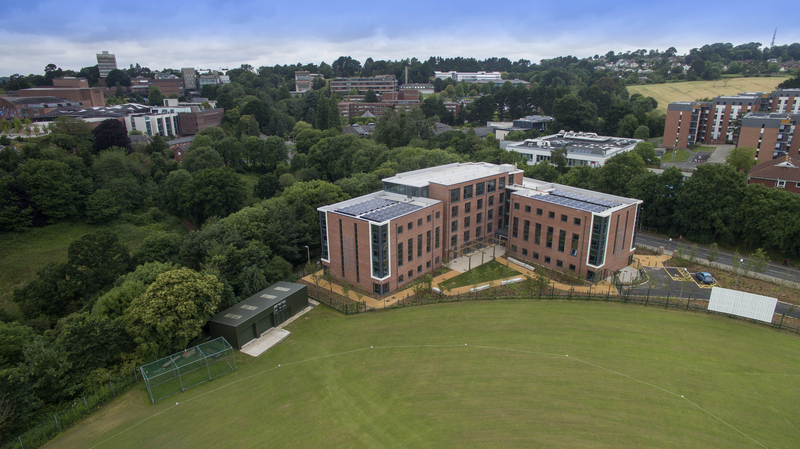 Built in the corner of Exeter County Cricket Ground, Cricket Field Court provides purpose designed, energy efficient, high-quality en-suite student accommodation for University of Exeter students. 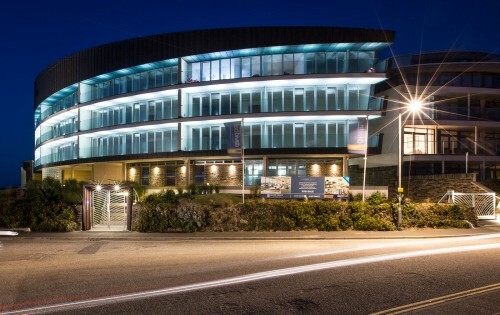 Built over four blocks, connected with glazed circulation links, the buildings provides a broad mix of room types – 159 bedrooms in 42 self-contained studios, and the remainder in cluster flats of 4, 5 or 6 en-suite rooms sharing a kitchen-diner. 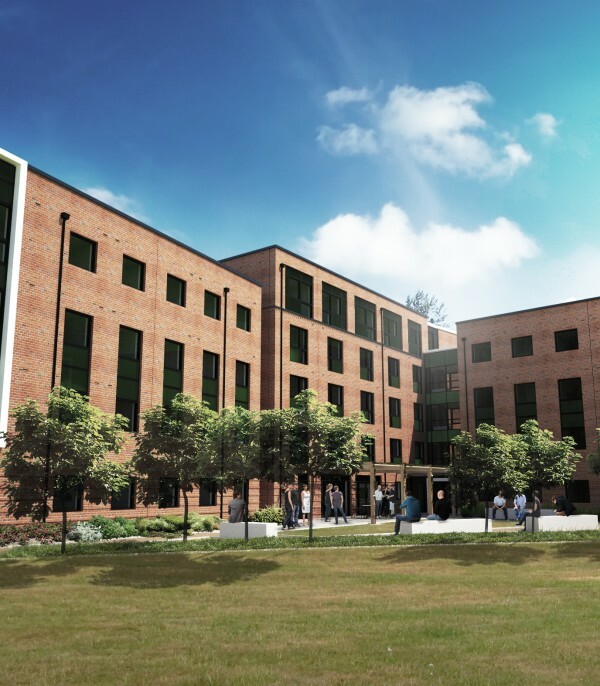 A central amenity hub at ground floor housing common room, laundry, vending and other shared facilities, benefits from views onto a landscaped courtyard. 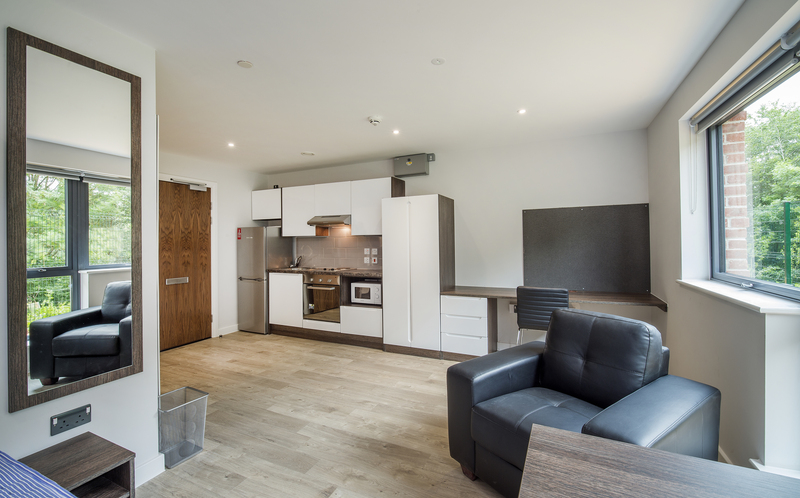 An undercroft houses secure cycle storage, and the scheme provides lift access, and some wheelchair accessible accommodation. A palette of hardwearing and attractive materials respond to, and reference, the surrounding area, with a focus on elegant, crisp and simple detailing; including red brick, dark grey framing and glazing. 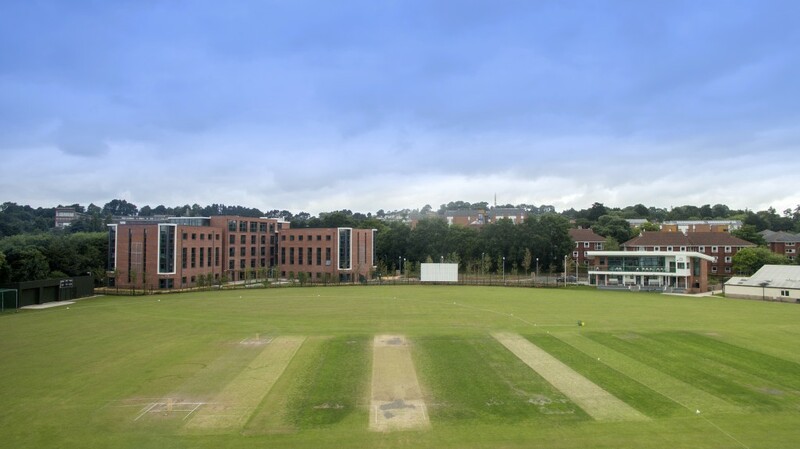 The student accommodation is an enabling development which has allowed Exeter Cricket Club to remain at the County Ground and to replace the attractive, but not-fit-for-purpose old cricket pavilion with a brand new building, also designed by LHC. 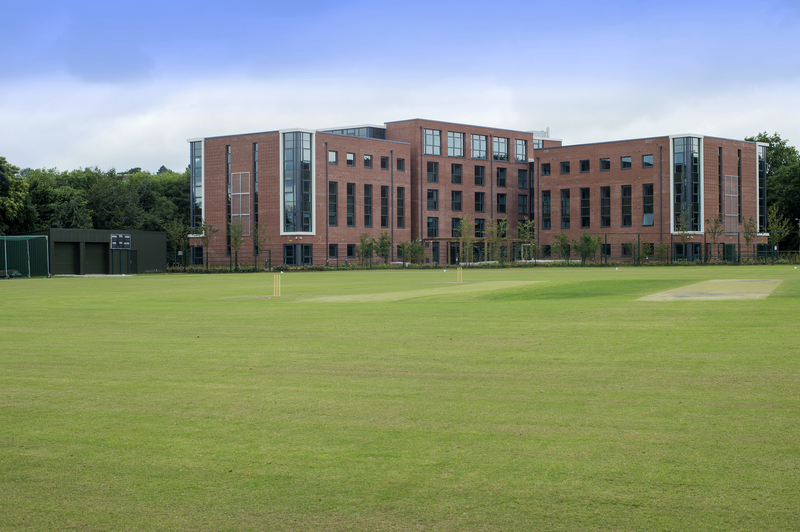 The new Pavilion is also complete and has been very well received by club and visitors alike. 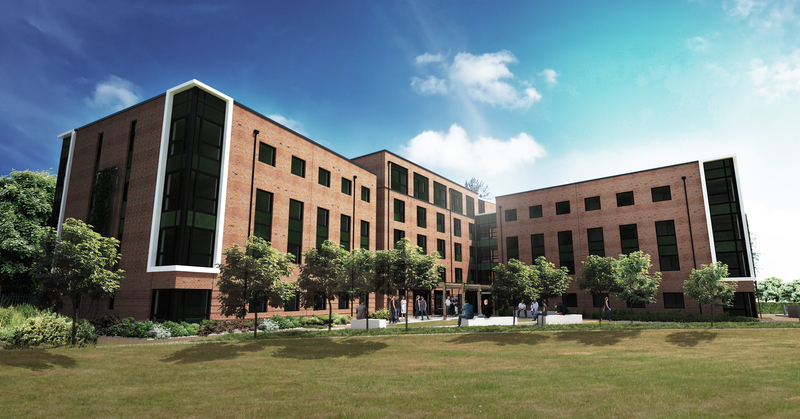 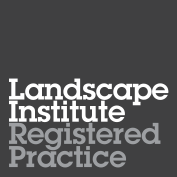 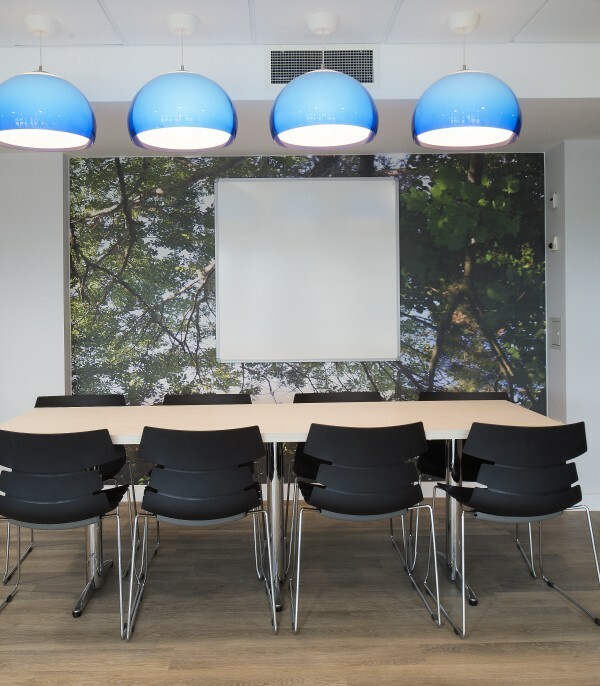 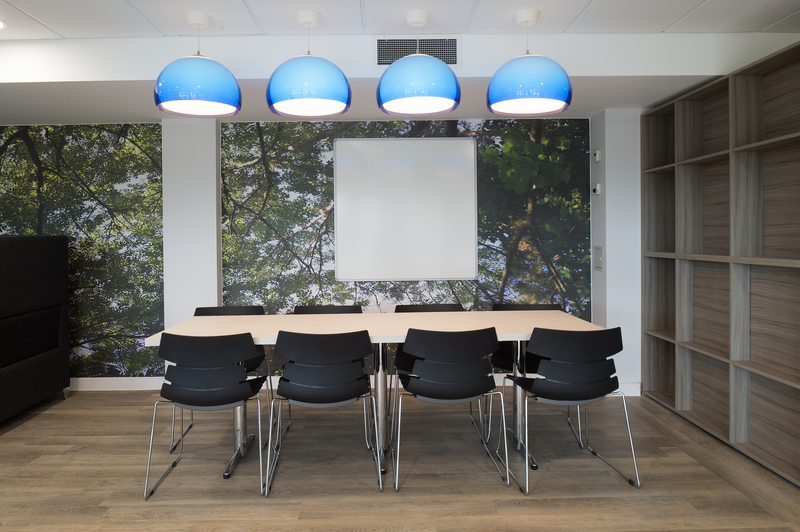 LHC were commissioned at architects, landscape architects and interior designers on the project and provided extensive graphic design support in the form of a range of detailed CGIs of the scheme.